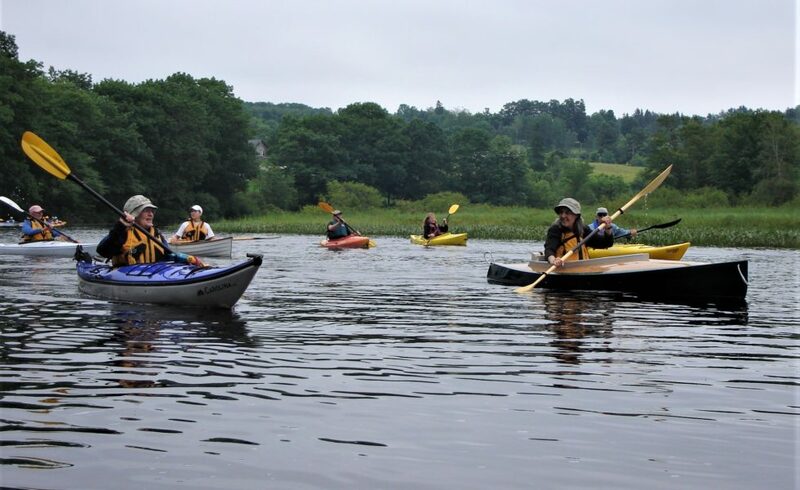 Take the scenic route to the Orland River Day festivities Saturday, June 30—join the annual Alewife Run from Craig Brook National Fish Hatchery to Orland Village! Cheri Domina of Great Pond Mountain Conservation Trust and Karen Francoeur ofCastine Kayak Adventures will lead canoers and kayakers from the Alamoosook Lake beach at 8 am sharp for a leisurely 3.5-mile (less than two hour) paddle down the lovely Narramissic River, arriving in the village in time for the parade and strawberry shortcake. One short portage around a dam is involved. Need a boat? 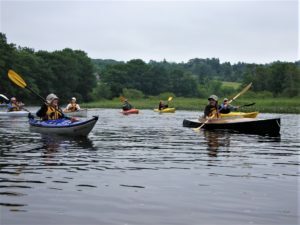 Castine Kayak will rent and deliver a kayak for $20 (call 866-3506). To leave a vehicle in the village, drop off your boat at the hatchery, then drive to Orland village and catch the shuttle back (courtesy of First Student), leaving from the old schoolhouse parking lot on Rte. 166 (next to the Post Office) at 7:30 am. Craig Brook National Fish Hatchery is located 1.3 miles off Rte. 1, on Hatchery Road in East Orland. For more info, call Cheri at 930-9730 or e-mail cheri.domina@gmail.com. We will do the paddle in (light) rain or shine.